Simonetta di Pippo mentioned that the UN mission should happen in 2021 or 2022 depending on when the first flight of DC happens. It would last between 2 to 3 weeks but would not go to the ISS. 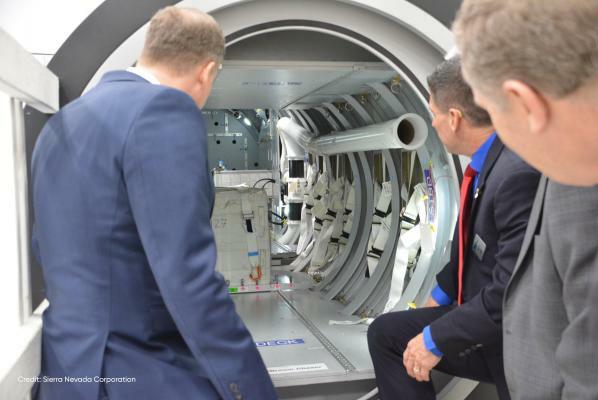 There would be about 25 to 30 micro-gravity experiments plus some experiments outside of DC. Each experiment must have at least one sustainable development goal. It's open to developed countries but there is a focus on developing countries. Working with SNC on the announcement of opportunities. It's a triangular cooperation between one or more developed country, developing or emerging countries and the UN Office for space affairs. Article focused on Erin Ozmen. I didn't notice anything new about Dream Chaser. That said, I found it to be an interesting read. Some cool tweets. We think related to late loading. 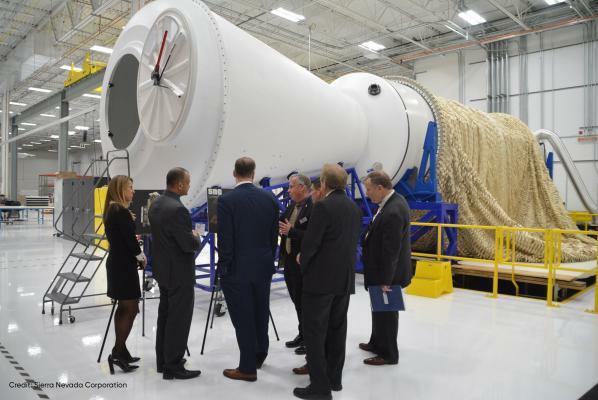 SNC was honored to host @NASA Administrator @JimBridenstine at our Louisville, CO facilities. Our team updated him on the products & programs SNC is developing, showed him our Dream Chaser free flight test vehicle & took him to our production floor. Our cargo module design is huge! 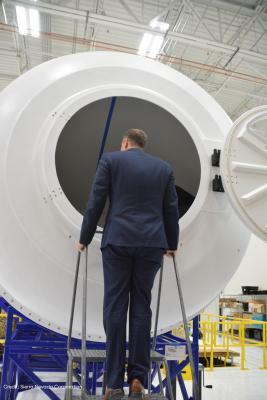 It’s being used for both our Dream Chaser spacecraft and our lunar Gateway design. 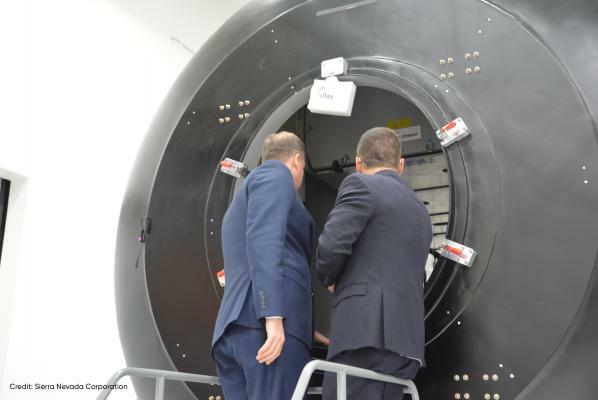 Here is @JimBridenstine taking a look at its large cargo capacity. Dream Chaser continues to meet technical and scheduled milestones on its way to first flight in spring 2021. I had completely forgotten they had got a CRS-2 contract for the cargo variant. Nice to see that vehicle progressing.